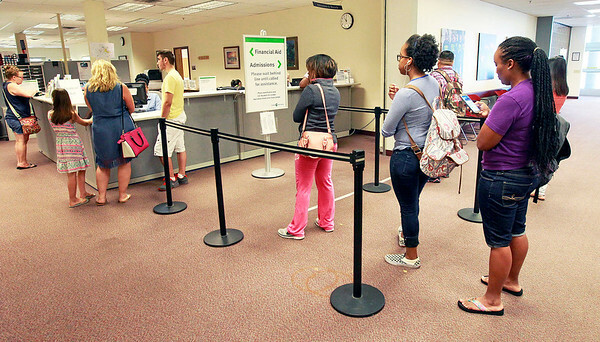 Candace H. Johnson Students wait on line for financial aid and admissions before the start of the new school year at the College of Lake County in Grayslake. August 22nd is the first day of school at the college. 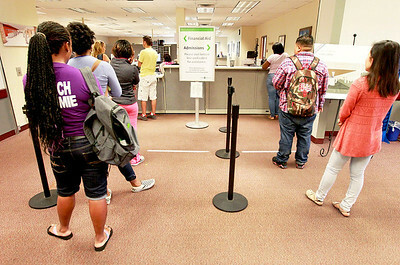 Candace H. Johnson Students wait on line for financial aid and admissions before the start of the new school year at the College of Lake County in Grayslake. August 22nd is the first day of school for the college. 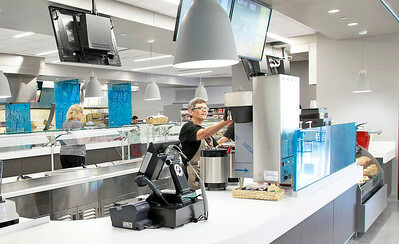 Candace H. Johnson Dawn Zeman, barista, works at the new Cafe Willow at the College of Lake County in Grayslake. Fresh Ideas Food Service Management runs the cafe. Candace H. Johnson The new Welcome and One-Stop Center at the College of Lake County in Grayslake. 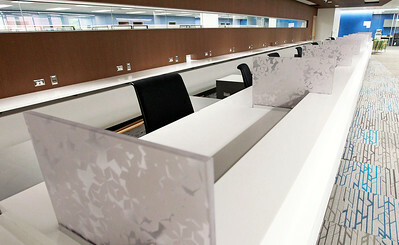 Students will be able to go to the center for admissions, records, payments, advisors and financial aid. 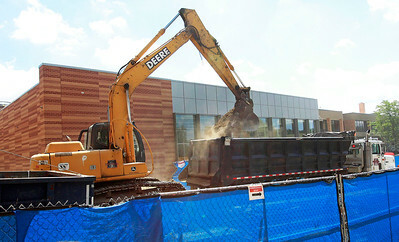 Candace H. Johnson Construction outside of the A-wing at the College of Lake County in Grayslake. Candace H. Johnson Yusuf Nur, 20, of Waukegan works on his basketball skills in the Physical Education Center with a new floor at the College of Lake County in Grayslake. Nur is about to start his second year at the college with the goal of getting an associate degree in Engineering Science. 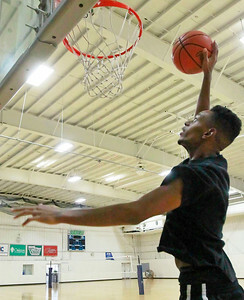 Candace H. Johnson Yusuf Nur, 20, of Waukegan practices his slam-dunk for basketball in the Physical Education Center with a new floor at the College of Lake County in Grayslake. Nur is starting his second year at the college with the goal of getting his associate degree in Engineering Science. 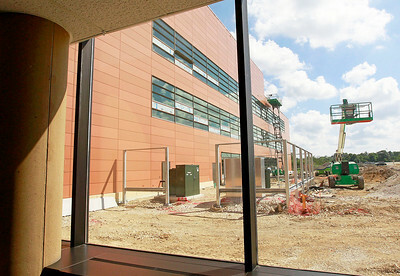 Candace H. Johnson The brand-new science building under construction as seen from the C-wing at the College of Lake County in Grayslake. 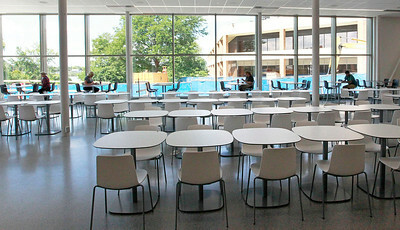 Candace H. Johnson Students sit at tables in the brand-new Cafe Willow with construction outside at the College of Lake County in Grayslake. 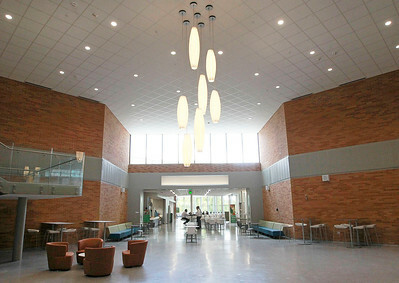 Candace H. Johnson The former lobby is now the Student Commons and behind it, the new Cafe Willow, at the College of Lake County in Grayslake. 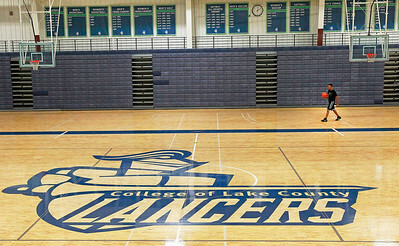 Yusuf Nur, 20, of Waukegan practices his slam-dunk for basketball in the Physical Education Center with a new floor at the College of Lake County in Grayslake. Nur is starting his second year at the college with the goal of getting his associate degree in Engineering Science.